ASG Airsoft, Spring Cocking Franchi Tactical Shotgun. 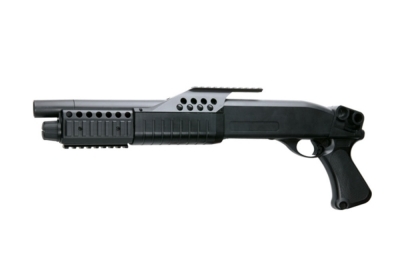 The discoveryline version of the licensed Franchi Tactical shotgun has many external upgrade options due to the front and top rail. It comes with shells, a BB speed loader and sling.